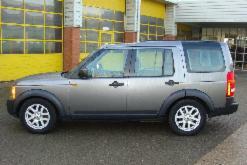 Our luxury Land Rover Discovery is fully air conditioned, regularly valeted and professionally maintained. In addition the vehicle is fitted with the latest GPS satellite navigation equipment to ensure you reach your destination with the minimum of delay. With plenty of leg and head room in both front and rear four passengers can travel in comfort no matter how long the journey. If required there is sufficient room in the back for a further two passengers. 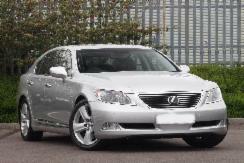 We also have a Lexus LS460 with full leather interior, heated seats, air conditioning and more legroom than a Mercedes S Class offering luxury travel for up to three passengers on long trips along with ample room in the boot for their luggage or four people on shorter journeys. For larger groups of up to six passengers we have a top of the range Mercedes Viano people carrier. With luxury leather seating and air conditioning you will reach your destination relaxed. Perfect for both corporate events and airport/seaport transfers for up to six including luggage. Our vehicles are fully tested, insured and licensed by South Gloucestershire Council.